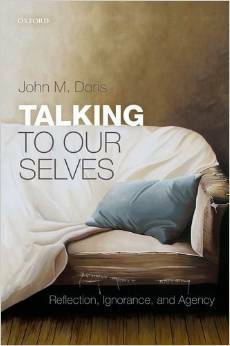 John M. Doris is Professor in the Philosophy–Neuroscience–Psychology Program and Philosophy Department, Washington University in St. Louis. 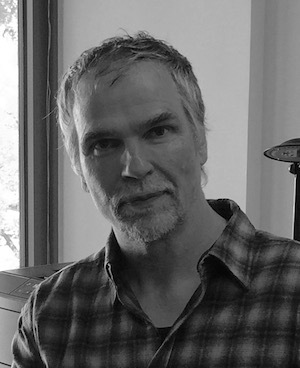 He works at the intersection of cognitive science, moral psychology, and philosophical ethics, and has authored or co-authored papers for such venues as Noûs, Philosophical Studies, Philosophy and Phenomenological Research, Cognition, Bioethics, Behavioral and Brain Sciences, Journal of Research in Personality, Journal of Experimental Social Psychology, Journal of Personality and Social Psychology and the Oxford Handbook of Contemporary Philosophy. Doris has been awarded fellowships from Michigan’s Institute for the Humanities; Princeton’s University Center for Human Values; the National Humanities Center; the American Council of Learned Societies; the Center for Advanced Study in the Behavioral Sciences; the National Endowment for the Humanities; and is a winner of the Society for Philosophy and Psychology’s Stanton Prize for excellence in interdisciplinary research. The book can be purchased here or here. For a review of Talking to Our Selves: Reflection, Ignorance, and Agency, see: ndpr.nd.edu/news/62138-talking-to-our-selves-reflection-ignorance-and-agency/. 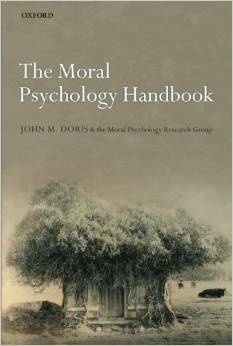 For a review of The Moral Psychology Handbook, see: ndpr.nd.edu/news/24704-the-moral-psychology-handbook. 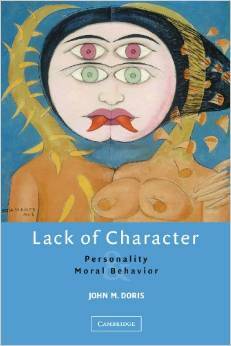 For a review of Lack of Character, see: ndpr.nd.edu/news/23601-lack-of-character-personality-and-moral-behavior. For a bibliography including papers that address the arguments in Lack of Character, see: philpapers.org/browse/skepticism-about-character. Vargas, M. R., and Doris, J. M. under contract. The Oxford Handbook of Moral Psychology. Oxford: Oxford University Press. Unless otherwise noted, seniority on jointly authored papers is indicated by order listed. Mooijman, M., Meindl, P., Oyserman, D., Dehghani, M., Monteresso, J., Doris, J. M., and Graham, J. forthcoming. “Resisting Temptation for the Good of the Group: Binding Moral Values and the Moralization of Self-Control.” Journal of Personality and Social Psychology. Mehl, M. R., Bollich, K. L., Doris, J. M., Vazire, S. 2015. “Character and Coherence: Testing the Stability of Naturalistically Observed Daily Moral Behavior.” In C. Miller, M. R. Furr, A. Knobel, and W. Fleeson, W. (eds. ), Character: New Directions from Philosophy, Psychology, and Theology, pp. 640-51. Oxford: Oxford University Press. Cameron, C. D., Payne, B. K., and Doris, J. M. 2013. “Morality in High Definition: Emotion Differentiation Calibrates the Influence of Incidental Disgust on Moral Judgments.” Journal of Experimental Social Psychology 49: 719-725. Doris, J. M., and Stich, S. P. 2001. “Ethics.” Encyclopedia of Cognitive Science, v. 2: 29-35. London: Macmillan Reference Ltd.
For a pdf of the cv see this file. Outstanding Mentor Award. Graduate Student Senate, Washington University in St. Louis. 2013. Seminar in Moral Psychology, Rutgers University, April 2005.